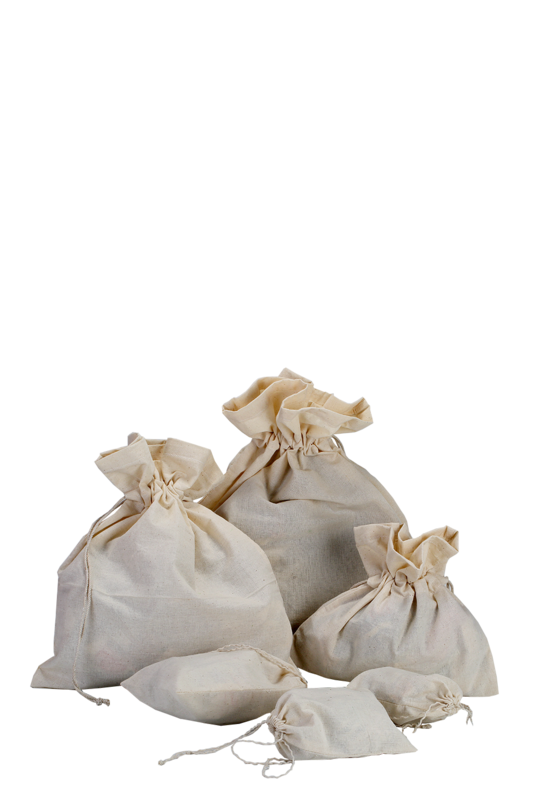 Available in a plethora of sizes, these drawstring pouch bags are crafted with high precision to obtain a cute, yet capacious property. Manufactured from bio-degradable eco-friendly cotton fabric, these bags are white in color and very robust in its quality. It has a flat bottom, which ensures enough room to accommodate your products. From large to small, the bags of varying sizes have double-knotted string to tie and keep your things perfectly.